Baptist Minister who became the mainstream voice in the civil rights movement in the 1960's. Influence brought about the end of Jim Crow law and culminated in the Civil Rights Act. Most celebrated American to never hold public office. South African born immigrant who created Pay-pal, Space-X, Tesla Motors, and several other companies focused on pushing the limits of technology. Considered one of the finest business minds in the world today. Musk is just scratching the surface and is such an innovator, but he has no shot against MLK. uscbucsfan wrote: Musk is just scratching the surface and is such an innovator, but he has no shot against MLK. I was startled by how few votes he got in the 20th century field. He won the 6th seed by only one vote. It's really tough putting up someone whose accomplishments have barely gotten started against MLK. 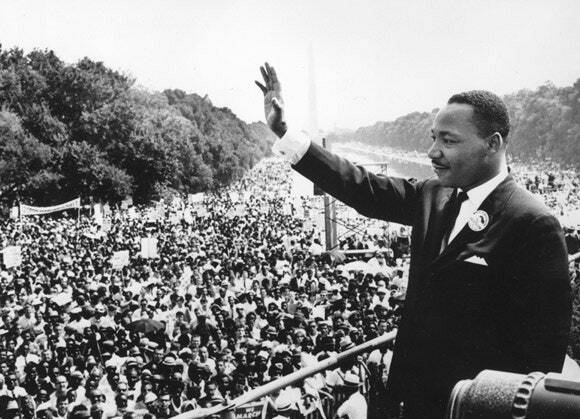 Plus, we've had nearly 50 years to witness, first hand, the impact of MLK's accomplishments. We've only seen the beginnings of what Musk may ultimately accomplish in this century and have no idea the impact his accomplishments will have on society 40-50 years from now. In fact, given that the 21st century is a mere 17 years old, I'd say it's unfair to put anyone from this century up against MLK or anyone from any past century for that matter. It's likely we haven't even seen the ultimate 21st century winner. Hell, they may not even be born yet. But, yeah, given the current parameters we have to work with, MLK in a landslide. As zarni said, rightfully so. And I'm as huge a Musk fan as anybody here.